Worked on signal and image processing algorithms to be used for automated underground fault tracking in seismic images obtained using reflection seismology. 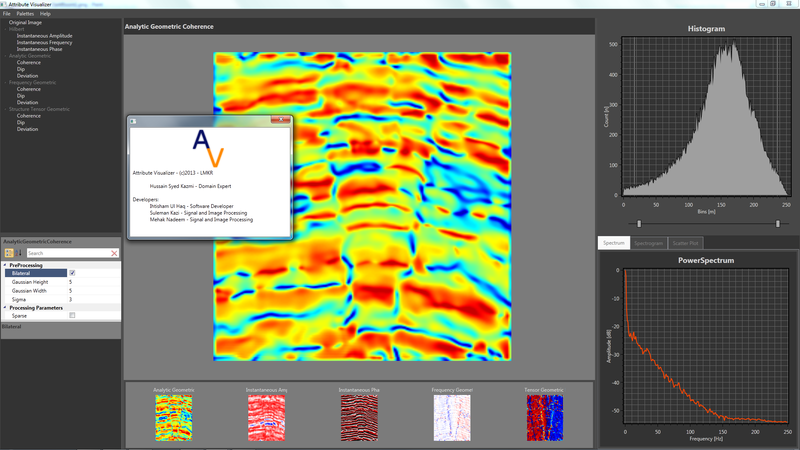 Implemented a variety of functions for use in enhancing and analyzing seismic images in order to locate underground hydrocarbon reserves. Simulation and Modeling of Intelligent Life (BiSMIL) at GIKI. • The Project won full research funding from Pakistan’s National ICT R&D Fund. Institute of Engineering and Technology (IET) and I was invited to Malta for regional finals. I was selected for a full sponsorship to attend the National University of Singapore’s summer program on entrepreneurship and economic development (July 2013).